Ronald Koeman believes Everton's whirlwind summer transfer spree could be set for an unpredictable ending. The Blues boss last week made £45m midfielder Gylfi Sigurdsson the seventh addition to his squad during this window. He admits that having to wait to get the playmaker's arrival confirmed was not ideal, but understands that is par for the course in a summer when the Blues have been involved in some complex and significant deals. Koeman still wants to add another striker and defender before the window closes, but said he is satisfied with his recruitment so far. 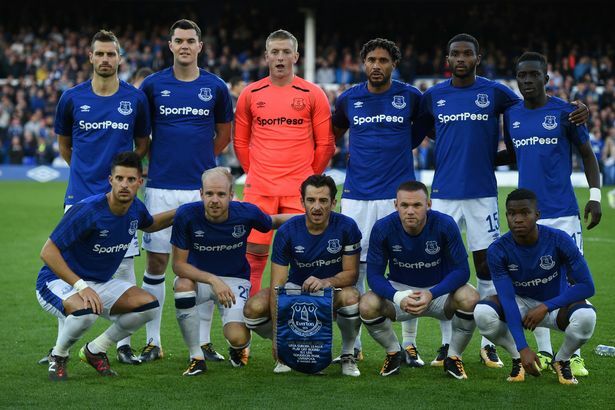 He said: "We did good business, and I think it’s normal, it doesn’t always happen that at the start of the Premier League, you already have five, six, seven players in. And if you like to bring more players in, maybe it takes some more time for that. "OK, anyway, we were really patient in the situation with Gylfi. ‘It’s close, it’s close, it’s still close…’ Of course, it would have been better if it had been done one week ago. "But finally, we have the agreement and everybody is happy about that. I think it’s normal. But look through the rest of the teams. Everybody’s still looking to sign new players, even Pochettino from Tottenham mentioned three or four players and it’s still two weeks from the end of the transfer window. "We will see more changes in all of the teams and it still unpredictable what will happen until the end of August in the transfer window." Koeman said he was given constant reassurances from chairman Bill Kenwright that the club would eventually agree terms for Sigurdsson with a hard-bargaining Swansea. He said: "Yeah, but from the beginning, when I heard from the board, when I heard from the chairman Bill, he was always so calm. "He said: ‘I will do the deal but we need to be patient.’ And of course I understand it’s business. "It’s a big transfer. You don’t do these kind of transfers in two days. Sometimes it takes longer than you like. "But OK, anyway, I was quite comfortable that finally we would do this deal, because it’s really important, and everybody was patient in this situation."